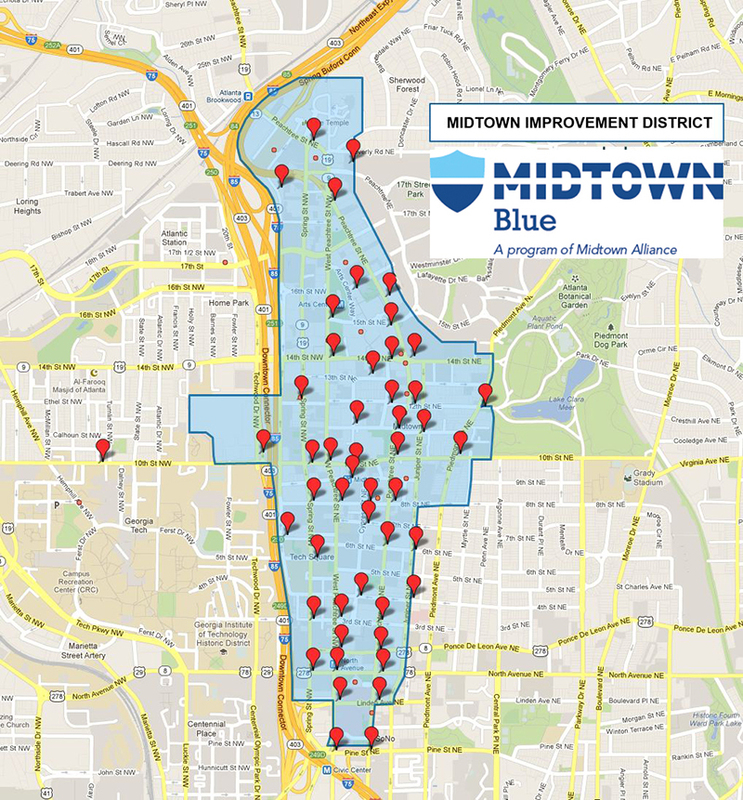 Midtown Blue’s public safety officers monitor - in real time - the region’s most extensive network of high-definition video cameras, covering nearly 90% of the district’s public right-of-ways. Vigilant surveillance leads to immediate response when issues arise – from public safety to transportation. Made possible through financial donations from Midtown properties and companies, the cameras are monitored 24/7/365. All areas under surveillance are clearly marked with signs. Public safety partners in Midtown also benefit from a secure communications system that links them together, quickening the response time to emergencies and accident scenes. Working collaboratively with Midtown Blue and the APD are the public safety forces of MARTA, Georgia Tech, the Federal Reserve Bank, Emory University Midtown Hospital police and Norfolk Southern Railroad, as well as officials from the Georgia Department of Transportation.